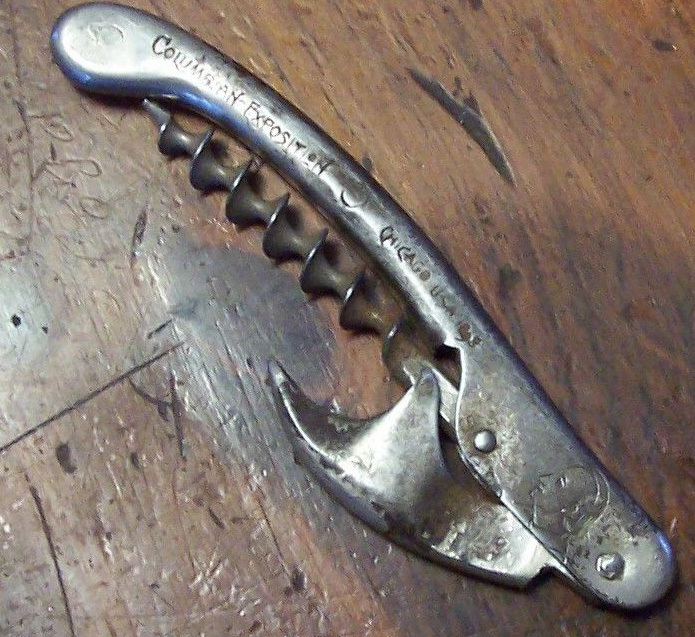 After posting yesterday’s blog about the leggy corkscrew, I received an email from Don that included a link to his “daily screw” website which, amongst other sheathed corkscrews, featured the “indescribably beautiful” corkscrew. You can link to Don’s site here. 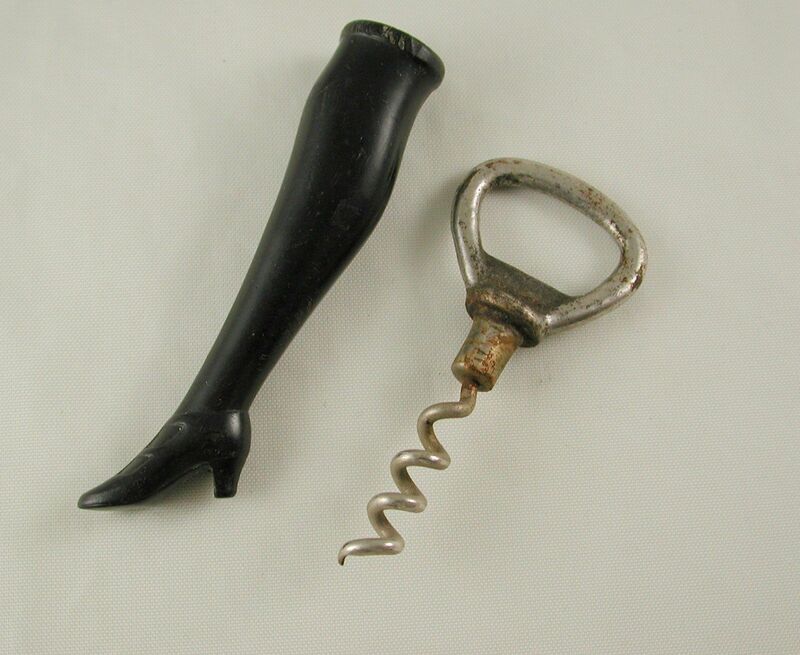 A boot with Bakelite leg serving as the sheath for the Williamson combination corkscrew in bottle opener. 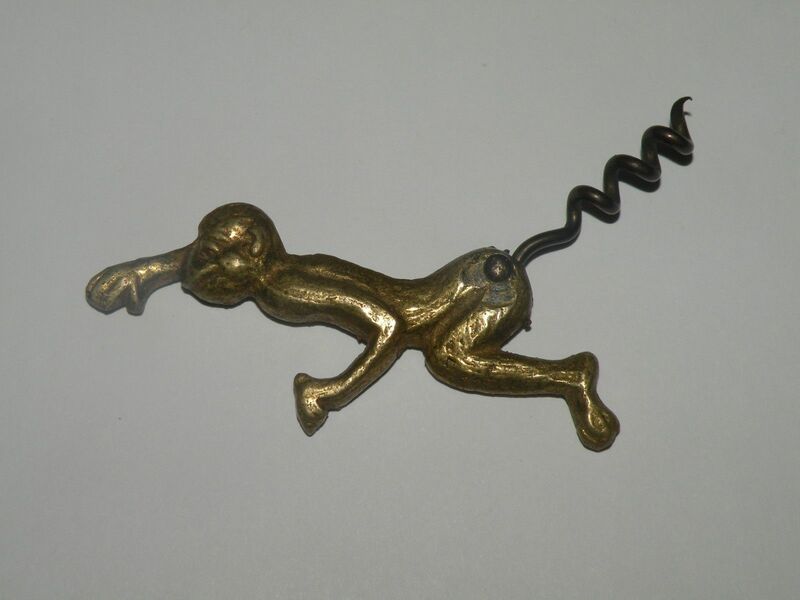 In 1996 this corkscrew sold at Christie’s auction for £150. $225-275. 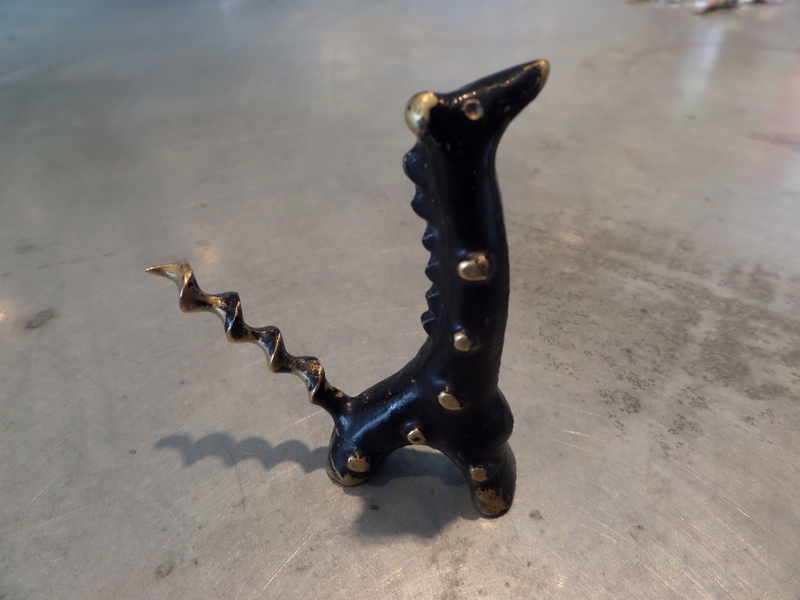 Gutta-Percha or Bakelite it is very cool corkscrew, that arrived on the island just this morning. But, that wasn’t all that made its way to the island this morning. 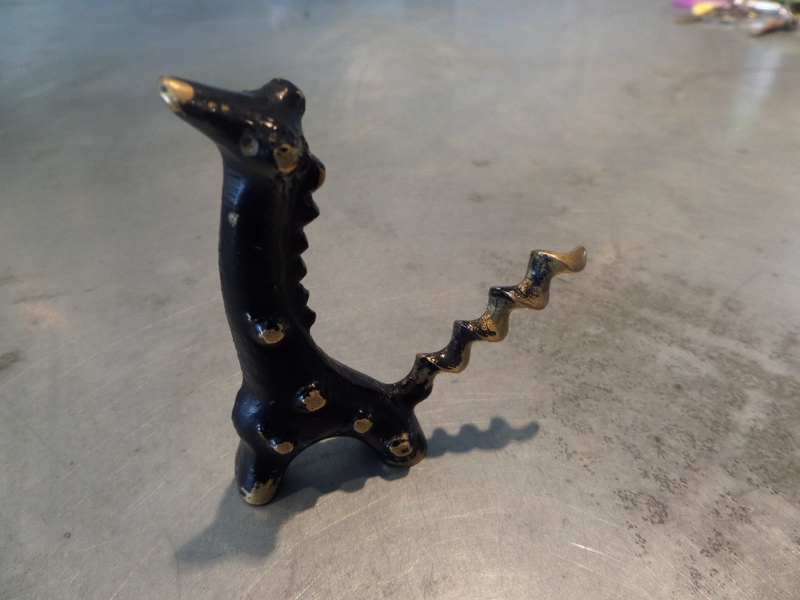 A whimsical little giraffe corkscrew was also waiting for me at the post office box. 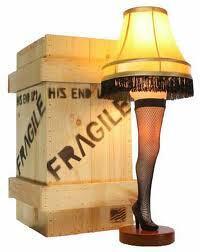 At least that was Mr. Parker’s opinion of the leg lamp in A Christmas Story. 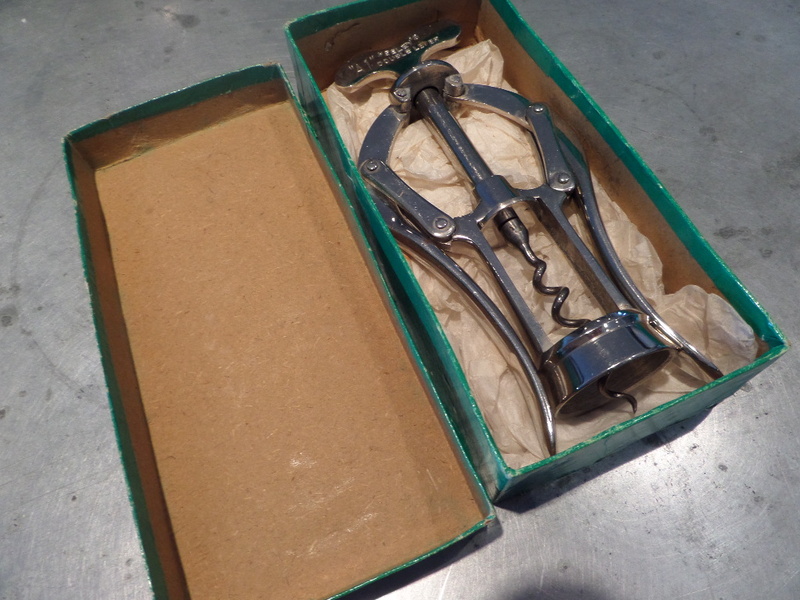 And, while I will not be starting a leg lamp collection anytime soon, this afternoon an interesting leg corkscrew was listed on eBay with a decent buy it now (or best offer) option. I saw the piece, and thought it looked familiar. But, I wasn’t quite sure. Still, I placed an offer, and went back to the task at hand (antiquing as it were). As I left the shop (without any corkscrew purchases) it occurred to me. I have my little netbook with me! And, what is on my netbook? So, in the parking lot I pulled up screwbase, punched in “leg” and clicked through the various listings. And, then, there it was. I knew I had seen it before! Forget the offer, I thought to myself. This one is mine. I clicked the BIN button, and paid. Having never seen another one of these sell, I figured the asking price was reasonable, and proceeded to call TC for any ideas. With Tommy unavailable, I dialed (not that I actually dialed) the wineleopard, and we talked about the leg (you should have clicked Robbie!). Quite pleased with my purchase, I finished my errands (which included a new macbook air) and headed back to the boat, and then back to the island. The leg will arrive in a couple of days, but I would agree with Mr. Parker. 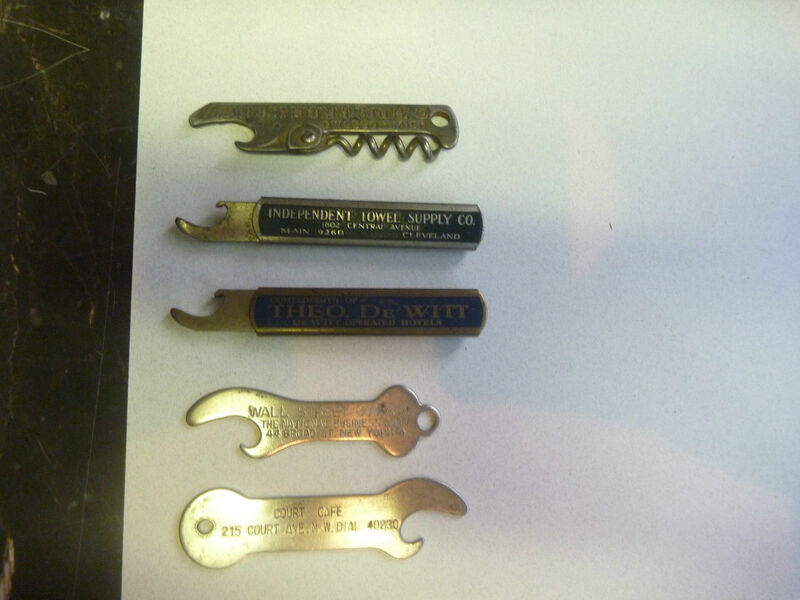 While I will continue the hunt for corkscrews, and openers for the Just For Openers upcoming meeting, in just a few days the latest CorkscrewCollectors.com corkscrew auction will be open for sellers to list, and shortly after that, for buyers and bidders to bid and buy. 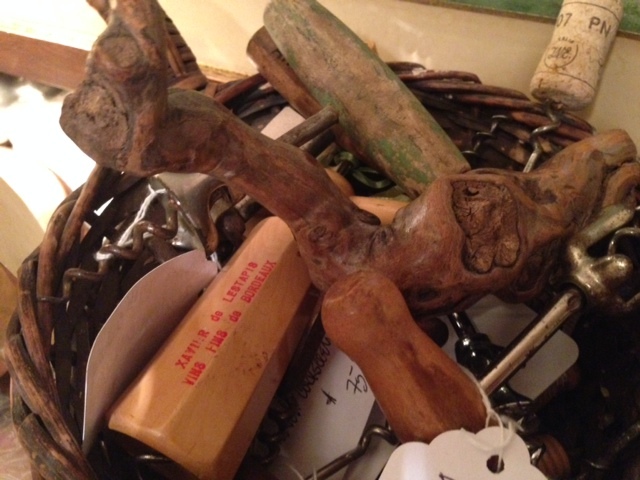 In preparation for the upcoming auction, I have put together a few pictures of corkscrews that I will be listing. And, for those that can’t wait for the auction to open, I am including some pictures here. I can hardly way to see what others list. What treasures will change hands this time around??!!?? With the corkscrew gods having left the area and now shining down on Tommy Campnell (at least for the time being) the corkscrew news in Maine hasn’t been that newsworthy. Still, with Spring upon us (at least that is what the calendar says, despite the forecast snow storm) soon enough the JFO will be also be upon us, and surely there will some deals made there. 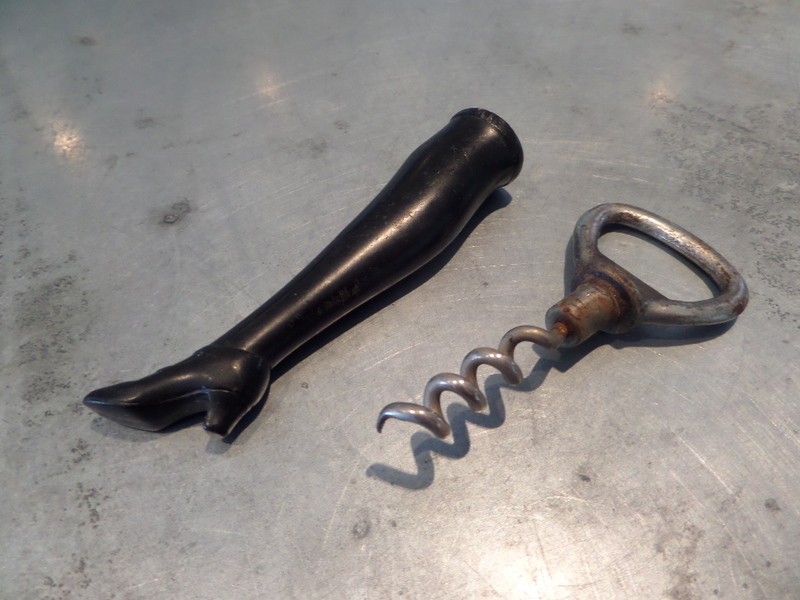 And, while I have no doubt I will find a corkscrew in the next few days which will be blog worthy, until that happens, why not pick up a few openers for the Just For Openers meeting in April. So, yesterday, I saw an interesting lot on eBay which had a decent buy it now price. I pounced. Nothing terribly rare in the lot, but the two sliding openers (M-3’s in JFO-speak) made the lot a pretty good deal. Today, I will be on the mainland, and perhaps a corkscrew or two will turn up in between running errands. If they do, I will be sure to update you all here. 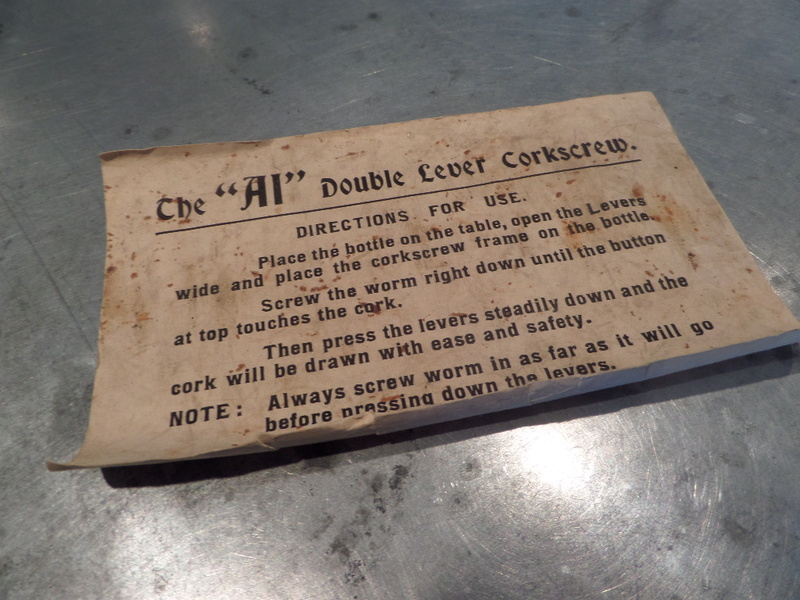 Place the bottle on the table, open the Levers wide and place the corkscrew frame on the bottle. Screw the worm right down until the button at top touches the cork. 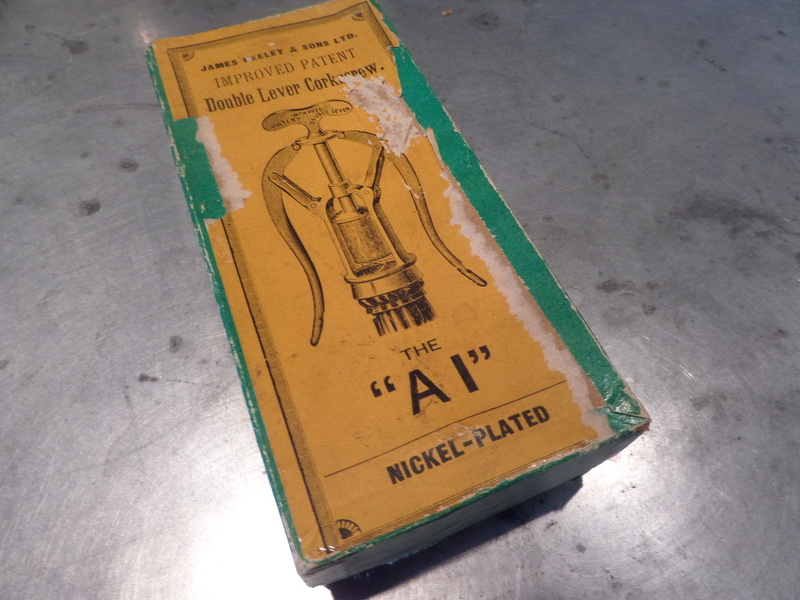 Then press the levers steadily down and the cork will be drawn with ease and safety. NOTE: Always screw worm in as far as it will go before pressing down the levers. Makes sense to me, although I always wonder why safety is often mentioned in opening bottle of wine. 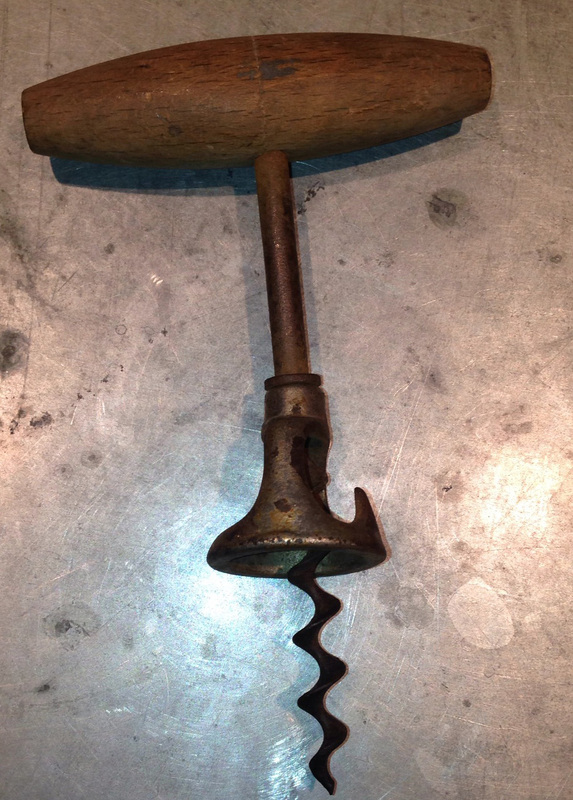 Are there some unsafe corkscrews? As I wrote a few days back, I was quite pleased to pick up a Heeley A1 with the original box. The package arrived yesterday, and the Heeley itself is in immaculate condition. And, the instructions were included. Definitely a nice bonus! I hopped on the first boat this morning, and with Philos keeping me company, began a trek North to hit a few antique stores. And, after a requisite cup of coffee, and filling the tank with gas, we headed to our first stop. The Big Chicken Barn! 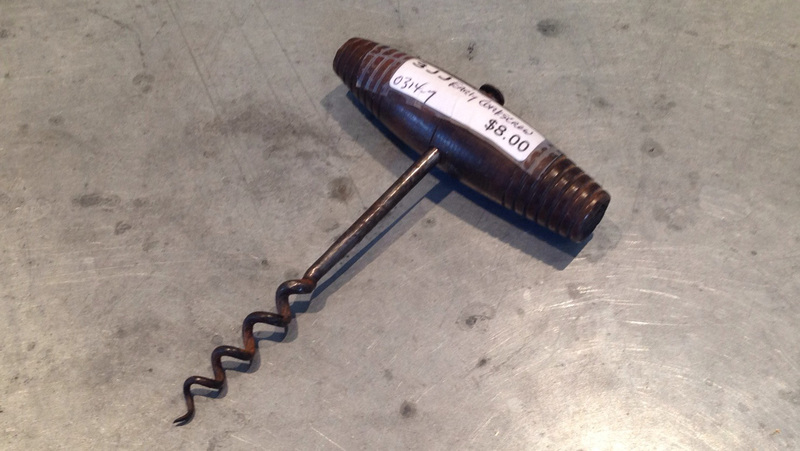 Now, historically the Big Chicken Barn hasn’t had many corkscrews, but with that much space, and that many dealers, you have to check it out. So, I headed in, turned right, and made my way down to one end of the barn and back towards the checkout counter–to this point; nothing. Not a single corkscrew! Then, I headed towards the opposite side. I made it all the way to the end, and still nothing. So, I turned, and started the trek back towards the entrance wondering if anything would turn up. And, while it was nothing to write home about, I saw a nice little t pull with an 8 dollar price tag. The helix is sharp, so why not. And, in the very next booth, I saw an interesting bell assist corkscrew. I picked it up, and given its price tag, it was a definite steal. Two dollars and fifty cents!!! I couldn’t see any markings. But the upturned hook on the bell was pretty telling. And, with my handy iPhone mag light app, the mark shortly revealed itself. 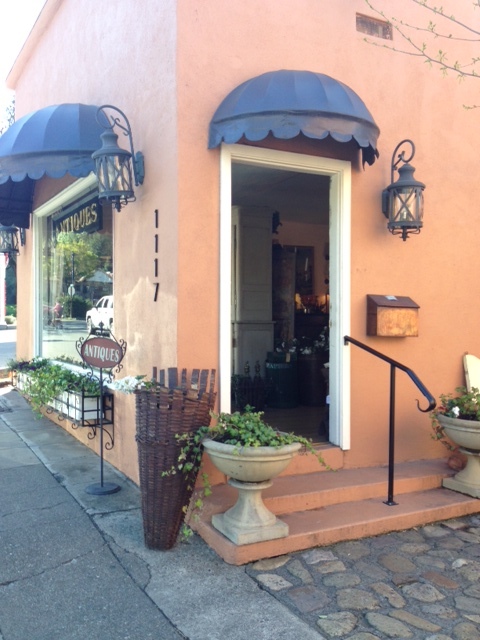 Excited about the Murphy find, P-Doggy and I headed on up towards The Creamery (another antique store). 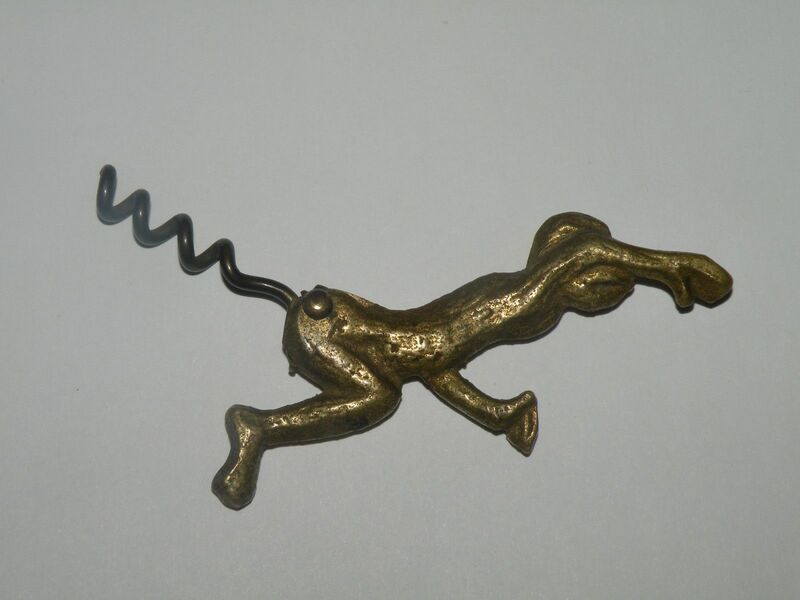 And, there I found another interesting corkscrew. Not rare, but cool nonetheless. 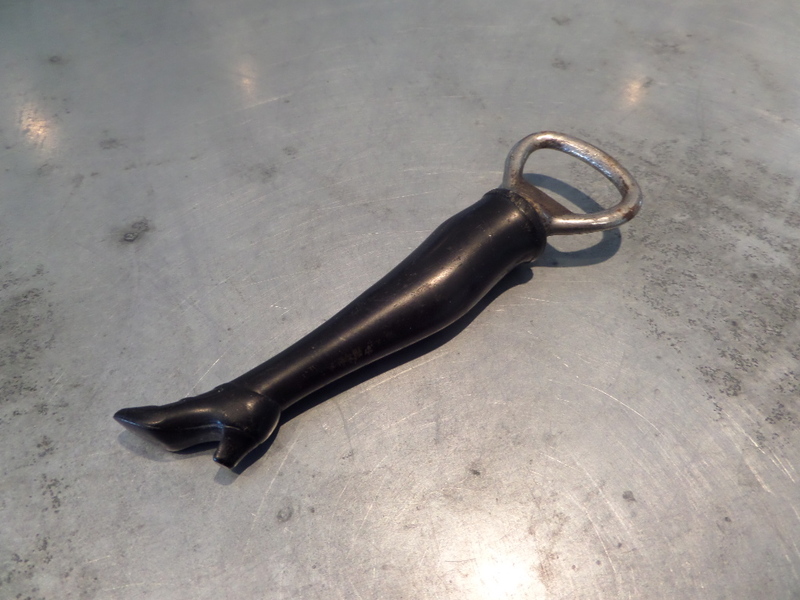 In 2009, at the JFO meeting, I purchased an interesting Clough corkscrew from TWJ. 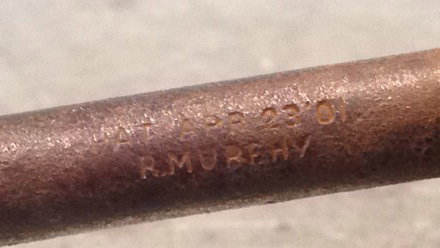 It was marked A.W. 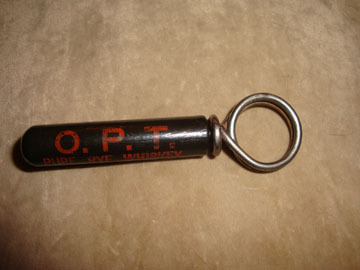 Stephens with a patent date (the patent belonged to Clough) and it was an advertisement for O.P.T. Pure Rye Whiskey. But, what was also interesting was that it was black with red writing. You don’t see that many Clough sheaths painted. 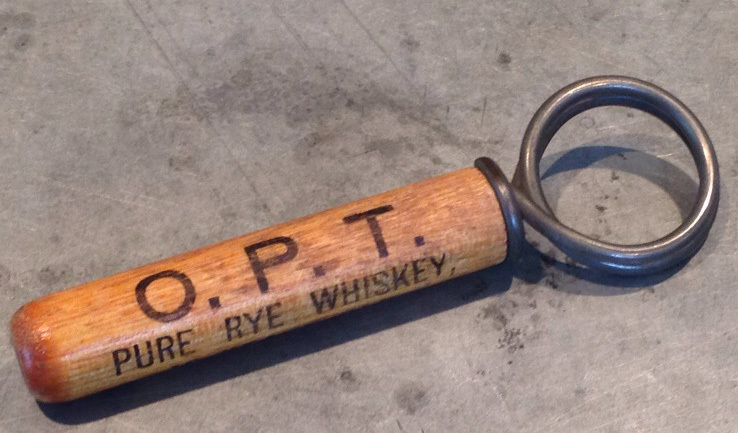 At The Creamery, I found another O.P.T., but this time with the plain wood sheath, but the markings are identical. With A.W. 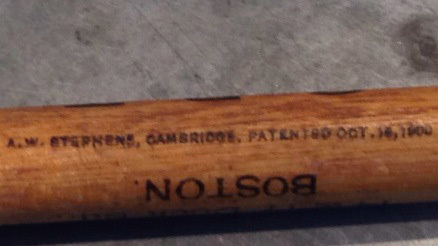 STEPHENS, CAMBRIDGE and with Clough’s patent date. Not a bad day off-island! The lovely personal personal trainer is in California for the week, and this afternoon she (and the lovely sisters in law) were in Calistoga. While the lovely is in California, and tomorrow making the sojourn from Northern California down to Long Beach, I will be hopping on the boat in the morning, and then heading off for a day trip of antiquing… If any corkscrews are found, preferably of the uncommon variety, I will report back here. That said, I did pick up a corkscrew moments ago on our second favorite website. A small figural monkey with folding worm, they don’t turn up often, and it will make a nice addition to the figural corkscrew collection. Recently a Syroco Golden Knight appeared on eBay, and the auction ended last night. The knight, however, was missing his body. And, all that remained was his head (and the corkscrew). In the end, the knight’s noggin only hit 202 dollars, a far cry from what he would have fetched had he managed to keep his body. Or, if his body had managed not to lose its head. On another corkscrew note, I picked up another Davis patent yesterday marked for the Chicago Columbian Exposition. This actually is a double, but is an upgrade from my previous example that had some finish loss. I did steal away to the mainland yesterday, as there was an antique show in Bath, Maine. And, after hopping on the boat, stopping for a requisite cup of coffee, and making the trek down the coast, I arrived at the show. 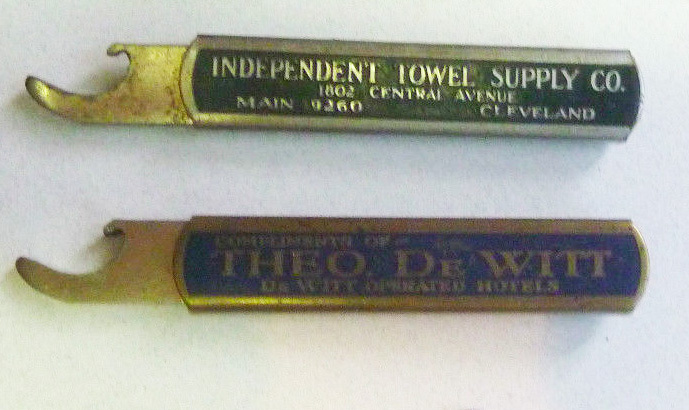 Walking through the booths, I found exactly two corkscrews; a williamson and a haff patent direct pull (for 3 dollars).